Newer construction without the wait! All of the upgrades have already been done here. 3 bedrooms+office & 4 bathrooms, hardwood & carpet, plantation shutters, security doors, mudroom with built in drop zone, leased solar panels, matching custom built shed. An open concept floor plan that gets showered with natural light and a kitchen that you'll actually want to spend time in, with its granite countertops, stainless steel appliances including a 5 burner gas cook top, double oven, and a walk in pantry. But don't stop there! Take advantage of the breathtaking views while backing to open space from this HUGE, covered deck- prewired for ceiling fans & complete with gas line. Fully finished, walkout basement with a 2nd master suite, stained concrete flooring, a studio and additional storage. BONUS- finished & heated 3 car garage with utility sink, wall mounted cabinet and additional overhead storage. 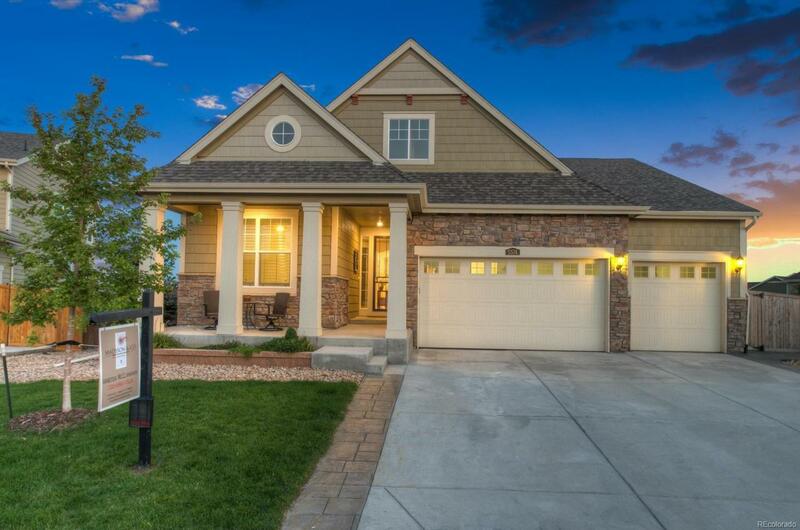 This home is well appointed from top to bottom, inside and out!